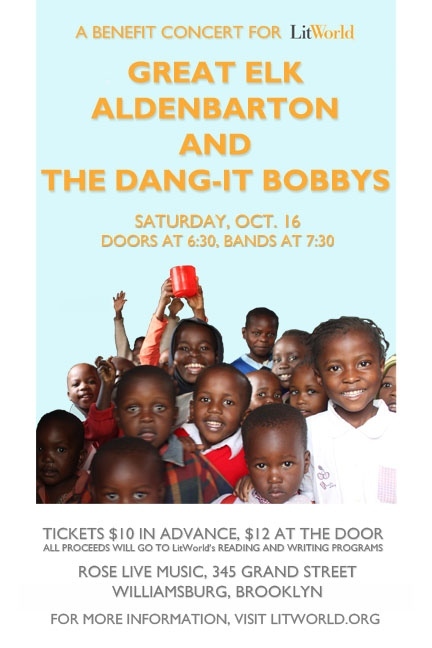 10/16: LitWorld Invites You to Our Benefit Concert! We invite you to join an evening of music with us as we put on our benefit concert on October 16th in Brooklyn, New York City. We would love to gather our growing community to build together and share ideas of how we can all contribute to changing the world, one book at a time! All of the proceeds will go towards LitWorld's reading and writing programs. We hope to see you there! Newer Post10/7: Join Pam Allyn's Webinar This Week!